This course is specially designed for students who usually score 30-60 in Add Maths and want to get A in their SPM exam. This course designed to help students to improve 20-30 marks in their SPM Additional Mathematics exam. This program was designed by our Add. Maths. tutor, Ms KWEE SF. Ms Kwee has been teaching Add Maths for more than 15 years. Owing to her teaching experience, she knows the syllabus of SPM Add. Maths, the format of the paper, the mark scheme and the weaknesses of students so well. In this course, she will guide you to focus on the important topic and the questions that frequently come out in the exam. She will also teach you some skill in answering certain questions so that you can get maximum point from the questions. With all these efforts, You should be able to score 20-30 marks higher than what you usually got in your exam. Every students has different weaknesses. After subscribing to this course, our tutor will send you an email to request you to submit your recent Add. Maths. exam paper. She will analyse your weaknesses from the papers and then give you some advise on how should you do your revision. This is to ensure that you do not waste your time on fruitless effort. Our tutor will arrange a few live online tutorials for all the students. In the tutorial, you can communicate directly with the tutor. You can chat with the tutor in the chat room or talk to the tutor through audio call. Before SPM (In November), you will be given a seminar discussing the format of the paper, the technique in answering questions and the forecast questions. Before SPM (In November), you will be asked to complete a few sets of model paper. Our tutor will discuss the paper with you in the online live tutorial. Our tutor will give a few live online tutorials on 27, 28, 29 Nov (Right before Add. Maths SPM exam). In the tutorial, she will summarise everything that you need to know in SPM and guide you to do a few sets of Model paper. Buy this course and take a few lessons. If you are not satisfied, ask for a refund. There is no risk for you. The money back guarantee is valid for 30 days after your payment. Click here to learn more about our 100% money back guarantee policy. You can make your payment through your Paypal account or by using credit card through Paypal. 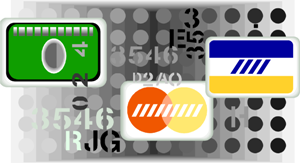 This is the safest and easiest payment method available online. You can also make payment through Maybank2u or directly transfer money to our company bank account. Fill in the form below to claim the free lessons. Add. 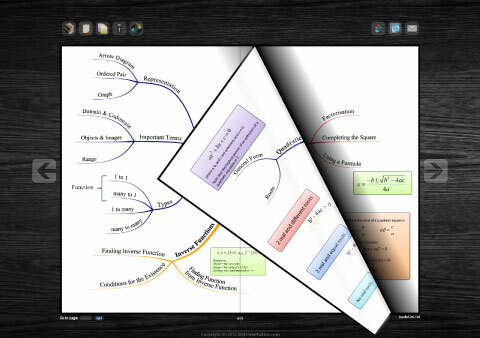 Maths Revision Notes: Complete formula list (Form 4 & 5) in Flipbook and pdf format. Together with the email, we will also give you a series of Add. Maths. Revision Notes, both in Flipbook and in PDF form.